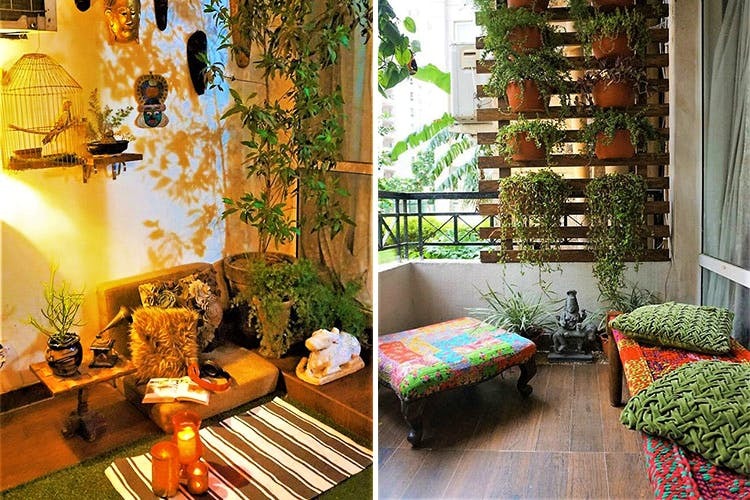 Balcony Makeovers is founder Mahima’s effort to transform the smallest of outdoor spaces into a cosy nook. Tiny, neglected apartment balconies, a medium-sized terrace space or a massive garden, they’ll do it up from scratch, lighting, flooring, decor and all. What they really love (and specialise in) however, are the small corners we apartment dwellers think nothing of. For the longest time, we with our modest 2bhk homes have cried for designer home makeovers. But no more. Mahima understands the space constraints us worker ants struggle with so instead of looking at it as a shortcoming, she used it as a business opportunity. Now, two projects down and two more in the pipeline, she’s perfecting her skill on-the-go and showing tiny outdoor nooks the TLC they deserve. You can outsource any outdoor space to her and together with her team, she’ll undertake the transformation process based on your brief. Want her to do everything from the lights and tiles to the plants? She’ll take it on. Want the old grill and windows to remain but want new furniture? That’s cool too. If you browse through photos of her projects, you’ll see that she loves infusing a bit of colour and quirk into everything she touches. That, and vertical gardens to make the best use of space. The entire turnaround process usually takes two-three days and Mahima is happy to work weekends if that’s what works for you. Stop storing junk or displaying that half broken bicycle in your outdoor space. Someone’s offering to make it look like a Pinterest board, what else could you ask for?